Here are you can see info only about those schools in which I worked for a long time. Since 2005, when I became a dean, I have stopped giving lessons on a regulary: I am sure that children do not need a teacher who escapes immediately after the lesson. Children must be respected and they need attention not only in the classroom - "from a bell to a bell". I am continuing to cooperate with gimnasium "Lomonosov High School" for the present time: I am an advisor on science education, as well as the Chairman of the Section of Physics and Technology of Regional School Conference "Lomonosov Readings", held annually at the gimnasium. And of course to the extent possible, engage with students from different schools: spend classes in schools and at my faculty. 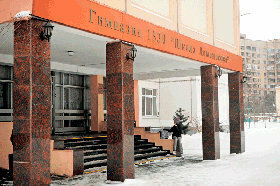 Accredited, confirming the status of the Gymnasium , which was given not only number 1530, but also his own name - Lomonosov High School. Created Physical Society of Students. Developed a Project of Flexible curriculum in natural sciences. Presented the Project of Flexible curriculum in natural sciences to UNESCO, for which high school was accepted by the Associated Schools of the organization. 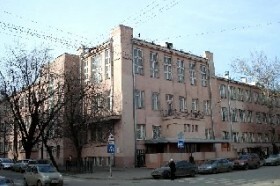 Developed the concept, organized and equipped computerized physical and natural science laboratory. Gave his first lessons in classes with advanced study of mathematics and physics. Began teaching integrated natural science course for younger adolescents. Developed curriculum, textbook and guides of the course "Physics. Chemistry" for 5-6 (4-5) forms (co-authored).